For some, saying “Farewell” to 2016 was a joyous occasion and for others 2016 held precious life memories we are sad to see pass. For some, we look to 2017 with great anticipation, yet for others fear of the unknown lurks within the recesses of our hearts. We are all in a season of our own, yet a season that still holds resemblances of another’s. It’s that place where empathy resonates, yet complete understanding of another’s walk remains unknown. But here’s the hope-giving truth. God knows. He not only has empathy, He completely understands every mountain we face. Every fear we feel. So, today, friends, I come to you with a prayer. A prayer for the New Year. You see, I’m in the camp of being quite thrilled to say goodbye to 2016. Oh, it held many wonderful moments. It was a year prayers were answered in great big ways and I am so thankful. Yet the challenges were many. I don’t know about you, but as I step into the new year, I want the God of certainty as my rock! In Him, I can stay steady (my one word for 2017) and follow His path and purpose for me. In Him what has dried up can be revived. And in Him my hope, joy, gratitude, and love can be renewed. How about we start our new year by praying this prayer together? Let’s step forward with God leading our every step. Then let’s commit to resting in His hope each and every day. 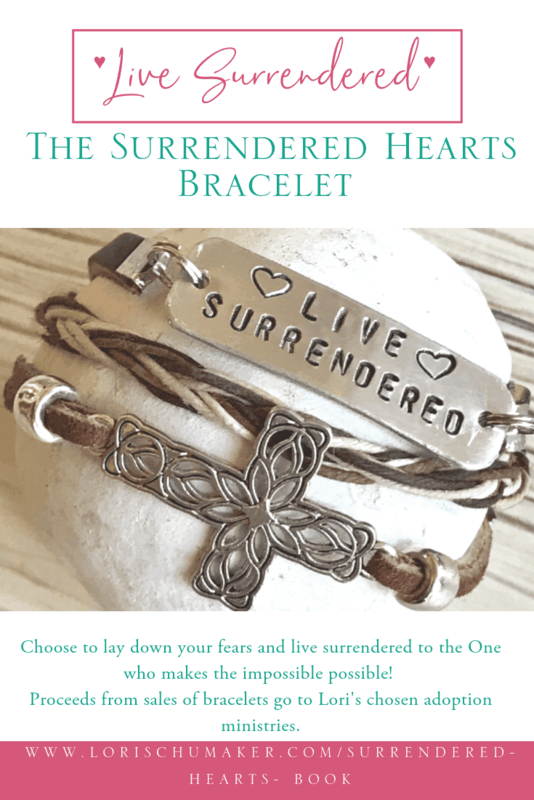 Grab your printable pdf version in the Library of Hope! I’m thrilled to be back here with you for #MomentsofHope! The break was wonderful, but I missed connecting with each of you! Your words encourage so many and point to the hope we find through Christ. I can’t wait to start reading! Share up to 2 URLs (to a blog post, not the actual blog) that resonates with the topic of HOPE. Anything that gives us hope for tomorrow. Hope for victory. The little things and the big. Anything that inspires us to lean into Jesus and let Him carry us through. Important: If you don’t have a blog post or podcast that resonates with HOPE, join in other ways as you pray and encourage others with a comment or a prayer. Please leave a comment and encourage others in their efforts to share the hope of Jesus. If you have time, stop by more than one sweet writer’s little corner of the blog world! Of course, I would love it if you would follow me via my blog and/or social media channels! Signing up to join the Searching for Moments Community gets you access to the Library of Hope along with post updates and freebies! If this gives you hope, would you consider sharing it with others to give them hope, too? Please either grab the #MomentsofHope button found here or link back to me to encourage new linkers. What a powerful prayer Lori! Thank you for this gift to start off 2017. Hoping for a much better and “steady” (love that) year for you! Hi Lori, it’s been a while since I’ve linked up here. Looking forward to visiting this page every Monday this year. Blessings to you on being steady. It’s a great word to pursue! The daily presence of God and His compassion (new every morning) is certainly the best reason to have hope! Blessed 2017, Lori! Lori – I am joining you in your prayer this morning. I am so grateful our God knows every mountain we have faced and He fully sees the ones we have yet to encounter. Each and every moment of our lives is in His hands. May we see every moment as an opportunity to see His hand at work in our lives. May you and yours have a blessed 2017! This is a lovely prayer, Lori. I prayed as I read it, and I pinned it to Pinterest to keep a memory of it. Thanks for sharing, and blessed 2017 to you! Thanks for hosting! I will be back to visit. I love “steady” as a One Word choice. I look forward to hearing how God uses it in your life this year, Lori! 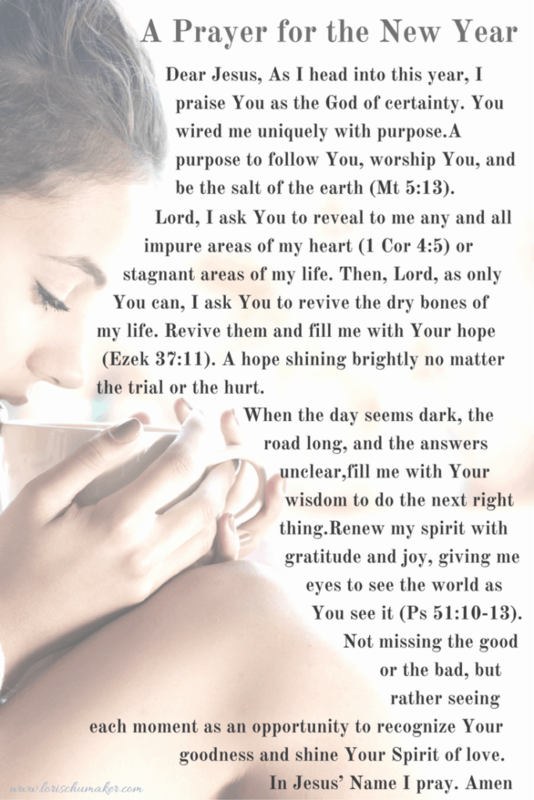 A beautiful, intentional, and humble prayer. Thank you for sharing. Thank you for hosting! I look forward to seeing how the Lord will use and help each of us grow this year. Happy New Year! Hope you had a wonderful Christmas break, Lori! Thanks for such a beautiful prayer to start off the New Year. Blessings to you , my friend! What a beautiful prayer Lori. We need those before our eyes, with reminders of His Word laced within. 2016 was quite a year, a long and sometimes difficult year and I’ve heard so many people say the same thing. But what we sow in tears we reap in joy, right? 🙂 Our family just watched ‘God’s Not Dead 2’ and the final line was another reminder… no matter what God is Good, All the Time… and All the Time… God is Good. It was a perfect anthem to start our 2017 and your prayer is another seed of faith for me. Beautiful, Lori! Thank you for pointing us to the Lord through prayer as we start the year. Wow, I need Him. Blessings and big hugs in 2017!! 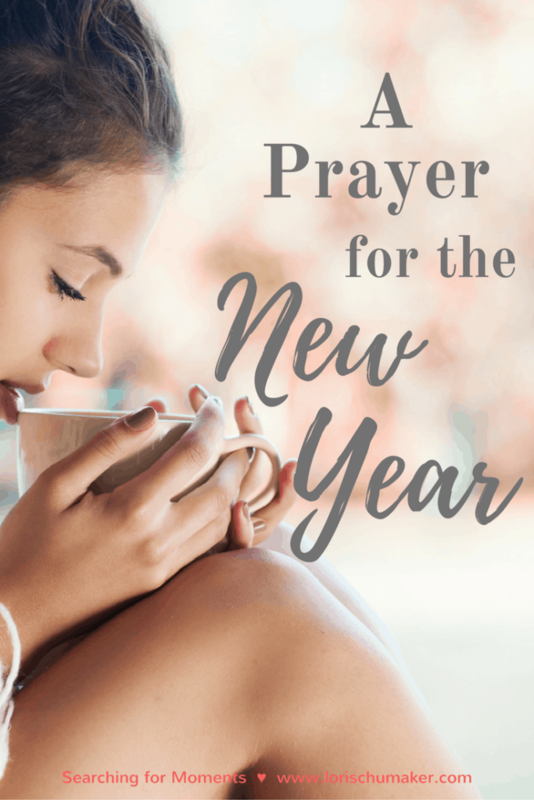 What a great way to start the new year – praying! I love this prayer, Lori. Also this truth – “God knows. He not only has empathy, He completely understands every mountain we face.” Thank you for the encouragement today! Love and hugs! Beautiful, Lori! Happy New Year to you! Blessings. 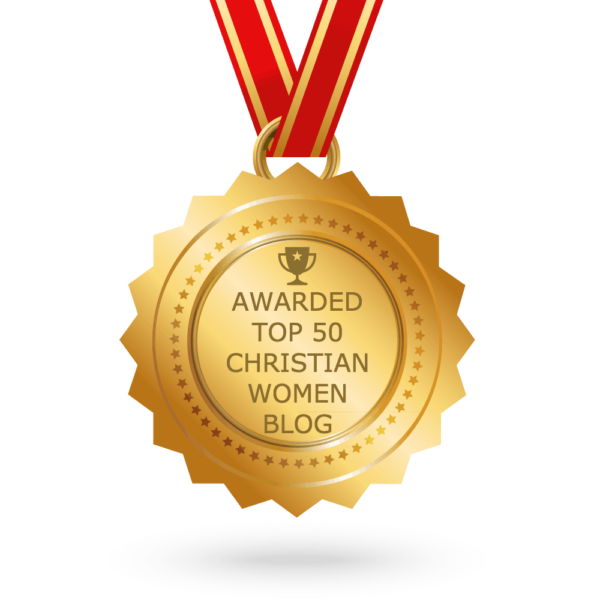 I just found your blog through the Finding Joy podcast. I was really curious to read more about your adoption story because I’m from Bulgaria but have lived in the US for a while. I have no experience with Bulgarian orphanages but I know they’re not good places to be for sure. Your story is so touching and your girl is so precious and what a miracle you were united with her and saved from a horrible situation! You almost make me want to adopt some day, I’m pretty set against having my own children. I would love to connect with you more and hear your story! And thank you for the site. It’s always great to have extra resources! Thanks for the reply! If you want to hear more about my story, feel free to email me. I don’t think it’s anything special really but I can relate a lot to what you talk about because I have family members with health issues/special needs and that possibly might have high-functioning autism or Asperger’s (undiagnosed but acting like it) on top of my own health issues. I don’t have my own blog or anything like that or even Facebook. 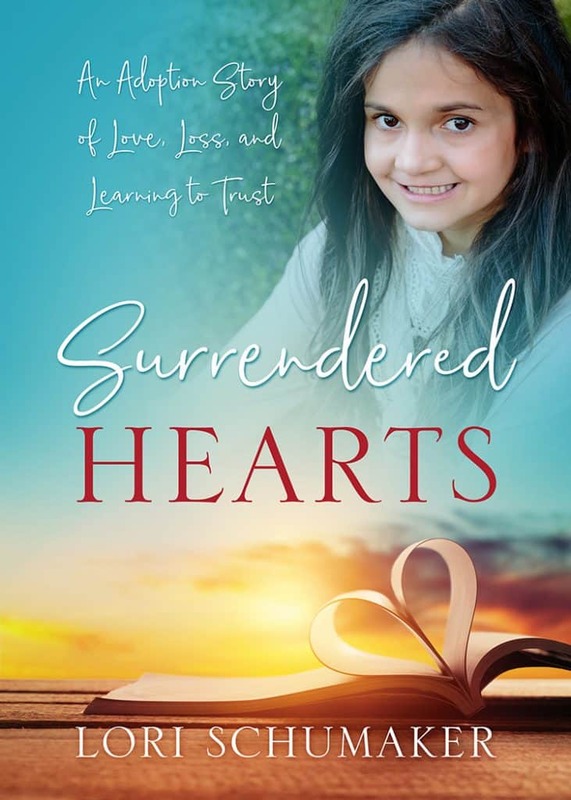 I have a goodreads page because I love to read 🙂 But feel free to email me at svetlast@hushmail.com if you have any questions for me or want to connect, that would be great!! I love your blog, you’re very inspiring! Your family is beautiful! Powerful, beautiful and amazing prayer Lori!!!!! I echo every word. I’m so thankful for you and so happy to see where God leads us this year as we pursue Him. Thank you for being, YOU! You pour forth God’s love and truth through every word you write!